Nintendo has confirmed its next sort-of Direct, with the announcement of the Summer 2017 Nindies Showcase. You may recall a similar stream that aired just before the launch of the Switch, so like that broadcast the focus will be exclusively on eShop titles. It's happening on 30th August at 10am Pacific / 1pm Eastern / 6pm UK / 7pm CEST. The timing lines it up with the upcoming festivities at PAX West, with this broadcast coming a day before the [email protected] event in Seattle. As always we'll be hosting the stream and live blogging here on Nintendo Life. We'll see you then! Hollow Knight, SteamWorld Dig 2, maybe Stardew Valley? Bring it on! Yes! I need a release date for Steamworld dig 2 yesterday! How many games from the last showcase have since been released? @Dakt Because I should trust everything I see on the Internet. I'm excited, but I know one person who won't be. ....Hey, a guy can dream, can't he? What's the over/under on the number of comments complaining this isn't about AAA games? I didn't bother with Gamescom gameplay so I'll take a new SteamWorld Dig 2 and Flipping Death trailer with release dates. I would also like information on Celeste, Towerfall and Runner 3. Spelunky for Switch would be really nice too. I'm so glad this is happening again. The last one was such a nice little surprise. With that said, I won't be impressed if we see Yooka Laylee. I still have a lot of good will, but just tweet a date and bring it out yo! @Dakt Not at all! Nobody would ever do such a thing! Stardew Valley. Steamworld Dig 2. Hollow Knight. Yooka-Laylee. Pocket Rumble. Wargroove. Flipping Death. Possible surprises. Awesome! Hopefully we get some actual release dates this time around. Yooka Laylee and Stardew Valley would be a good start. Hoping for news on Kingdom: Two Crowns! Nice something to look forward to after work this Wednesday. 10/19 have been released thus far. About time, the Nindies front for Switch has seemed very quiet recently. Release date for Stardew Valley or I'm gonna flip out! Would be cool to see them highlight Brawlout. Hoping for some awesome new indie announcements, as well as some release dates for already confirmed games (Stardew Valley, Yooka Laylee, and SteamWorld Dig 2 in particular). Also, get the information right this time Nintendo. You reported a fair amount of misinformation in the first showcase (Shakedown Hawaii was never a timed exclusive scheduled for April, for example). How about a proper direct? How on earth do we not have a American release date for Fire Emblem Warriors or LIterally anything on the Kirby 3DS game? @Dakt Not much interested in Undertale myself, but I'd love for them to announce that just for the possibility of the Switch being a GameMaker compatible platform. That'd open the door to so many other indie titles making their way over. Stardew valley release date pls, and there's a couple other games like wargroove I really want release dates for!! How much longer must we ignore the big fat elephant in the room? When was the last time we had a dedicated 3rd party showcase presentation? Has there even been 1? @Donutsavant Do you want a new list? Here are some of the nindies that have been announced during the past month or so. Most of these were said to be "Autumn 2017" releases. @Spoony_Tech I'm pretty sure you will get a release date for Steamworld Dig 2. At Gamescom last week, Brjann (at Image and Form) said that it will release "very very very soon" and that he knew what date it was. I wonder if we see 'timed exclusive' Shakedown Hawaii that was 'coming this april'(5 months ago)?? @Timppis the number is higher for both releases and total when you add Europe and Americas showcases together. They had different lists. Hoping to see some release dates for Celeste, Toejam and Earl, Wargroove, and I'd also love to see Spelunky and a Worms game announced as well. @hbkay That was misreported by Nintendo. After the presentation VBlank clarified the info - it was never timed exclusive or scheduled for April. I know there have only been whispers about this and it's still unlikely, but HYPER LIGHT DRIFTER FOR SWITCH PLEASE! @Pikachupwnage I'm expecting an ND in September focusing on this holiday - a Switch bundle for the holiday would be nice, even if it's an older game like MK8D - and something for early 2018 like a port of either SSB or SMM. Besides FEW XC2 needs a date as well. @mystman12 Wargroove is delayed to 2018. I made a Google spreadsheet of mostly indie titles I want to play on the Nintendo Switch and if at least one of those gets a releasedate, I'm happy. Hollow Knight, Stardew Valley and Flipping Death preferably. Oh, and Terraria! I think I'm the only one who completely skipped that game but still wants to play it. @IceClimbers Aww, that's disappointing. Oh well. A delayed game is better than a bad one. @Donutsavant Well, yeah. It takes games time to come out. At least they're not like most AAA games, where it'll take them years to come out after being revealed. Besides, there are a lot of other games coming out, but those are the ones I'm excited for. @jariw Yeah, but why wouldn't they show games releasing in 2018? The pic says summer 2017, but summer 2017 is pretty much over, so obviously there will be games shown that are coming out later. @SLIGEACH_EIRE The Switch is Nintendo's fastest selling console without "major third party support" as you like to remind us day in and day out. So maybe just maybe third party support is.................irrelevant? @mystman12 I doubt they will spend much time on games they have already mentioned in earlier Directs, unless it's with a release date pretty soon. Currently, there are a huge number of nindies that have been revealed during the past 4 months or so since the last Direct where nindies were mentioned. @Dakt If that is true, then money coming out of my wallet confirmed too. @jariw I would very much like that list! I just feel like I don't need new trailers for those nindies they revealed last time, you know? A short trailer could be cool if it has a release date. I'd love to see FE and Morphite get mentioned, and surprises! Fingers crossed a rocket league release date. @SLIGEACH_EIRE Maybe it's not a relevant issue currently, at least not as people make it out to be? There's been new games announced, shown and/or released left and right, first party and otherwise. This event in particular will have plenty (indies are 3rd parties). Who cares whether there isn't a special 3rd party showcase? Sweet! Looking forward to what is announced. @SLIGEACH_EIRE so all these non nintendo developers are no longer 3rd parties then? Anyway before you come back with where is the triple AAA 3rd party support?? To be honest, I think we all over it now and kinda realise it will be minimal. We all knew it before the switch was released. It's not really a big deal anymore with me. Switch sales are showing people don't seem bothered either. Would have wished for a FULL Direct, but this can suffice for the time being. Matter of fact, as @SLIGEACH_EIRE pointed out, this kind of thing always give me a good vibe - the hope for separate announcements (as in, say, that time Nintendo announced new Smash fighters before E3) to get lesser things out of the way. Imagine, if you will, a Nindie Direct because the Direct wouldn't feature any of them. Hence, a Direct showing actual third party support, instead of using Nindies as its poor man's substitute. A man can dream, indeed! @kobashi100 They're called indies for a reason. No, they are nothing like traditional 3rd parties. I'm sure there will be some nice surprises in there, considering the overwhelming amount of indies that have been announced for Switch on an almost daily basis over the summer. When they do a nindies showcase, it's usually because they got a few things they are excited about. @SLIGEACH_EIRE What are "traditional 3rd parties" on Nintendo consoles? LEGO games? How bout some Shenmue 3? With all due respect, your comment is somewhat short-sighted. Don't get me wrong, I am currently loving the Switch (though I do hope to eventually get something more substantial than simple ios ports and arcade rereleases, great as they are), but five months of success doesn't necessarily mean that the system is a success. Come back to me in another two years. Third-party support is hardly irrelevent. There is a reason why the NES/SNES are so fondly remembered (the third party support was incredible), the N64 is oftentimes referred to as the end of Nintendo's dominance (not just from a sales standpoint, but also a loss of third-party support), and the Wii seems to hardly get any mention anymore (for every great third-party title, and they DID exist, you got twenty that were crapped out, at random). I think that both sides of the argument are unrealistic. One side wants AAA titles that, for the most part, are simply impossible, or the bare-minimum possible that makes them pointless (all signs point to the inevitable release of Final Fantasy XV). The other side seems to have this argument of "oh well, we don't NEED third party support because our system is doing so well!" Yeah, and what about the times when they weren't? The Wii U sold thirteen million units. The last time that a major console sold that poorly, it drove the entire company to abandon the hardware game. Part of the promise of having the Switch, for me and for so many others, is having something on par with, at the very least, the last generation because that opens up the possibility to have a console on the go. Skyrim is a great start (and, if you look at the video, it clearly shows that Switch is far more powerful than people give it credit for). Honestly, I would be happy with first-party releases, a good selection of Virtual Console titles, some indie surprises, old arcade games, and the occasional AA-1/2A title (being realistic). I would saw off a toe for Dark Souls on the go! I heard rumblings that From Software were able to get Dark Souls 3 up and running. I wish that they would comment on that. I already wondered what happened to Stardew Valley?? Wasn't it suppose to launch on Switch end July / early August? @BanjoPickles I was definitely exaggerating when I called it irrelevant, but my overall point still rings true. In terms of success a console is not judged on whether it gets BF1 or not. It's simply judged on how many units sold. 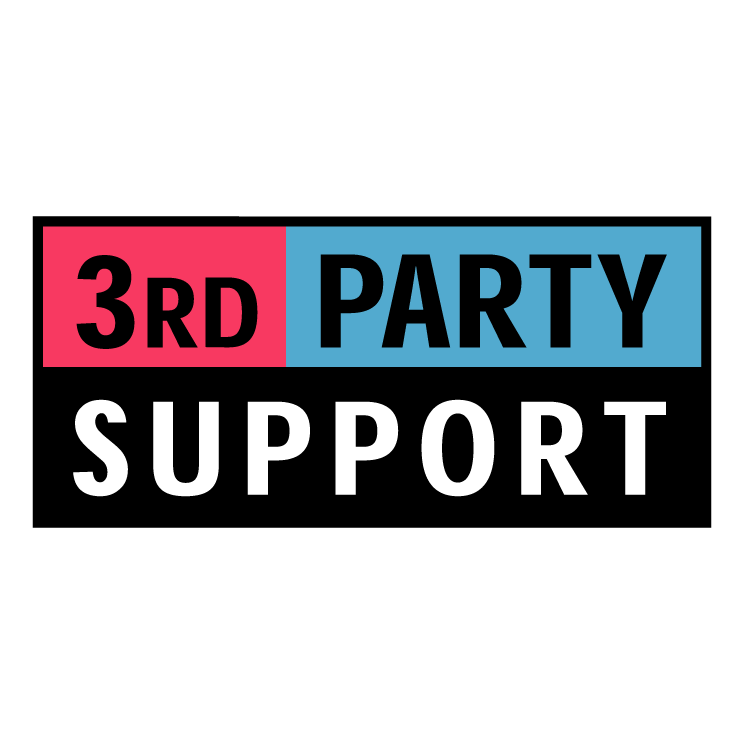 Right now major third party support is......decent I guess, it could be a lot better. On the other hand this year we're getting NBA 2k, FIFA, Rocket League (and maybe WWE) not sure. With all that being said the console is still the fastest selling in Nintendo's history. And as for the "five months" these months in particular are not considered a time when you unveil a console. I think the demand and want for the Switch is honestly understated, not sure why but it is. These record breaking sales come before Mario, Metroid, AC, POKEMON even get to the Switch. So I for one am completely confident 2 years from now the Switch will have reached extremely high sales. @BanjoPickles Third-party support isn't irrelevant, but I don't think it's a decisive factor for a console to become successful. The PS Vita has good third-party support, but it's a failure. The third-party support for the Wii is mediocre, but it's one of the most successful consoles. As for the Wii U, I think the most important problem is the lack of great first-party games in the first two years. The Wii U has many great games like Mario Kart 8, Super Smash Bros. for Wii U, Splatoon, Super Mario Maker, Xenoblade Chronicles X, and Breath of the Wild, but they were released too late. Would like dates for Shakedown Hawaii, Steamworld Dig 2, Stardew Valley and Yooka-Laylee please. Any clues as to whether Seasons of Heaven still exists would be nice. Ports of Papers Please, Cosmic Express and Mini-Metro would be great. I hope Undertale will be confirmed for Switch. I'm a huge Earthbound/Mother fan, and I haven't played Undertale yet. I sincerely hope you're right. All I hope for is that, with time, developers stop treating it like a capable handheld and start treating it like a capable console with some really nifty features. Honestly, I'm realistic enough not to expect Red Dead 2, or Final Fantasy XV, but I say that if a game can be done, then it should be considered. What I meant by "the five months of sales" comment was this: the Wii sold like gangbusters for, what, three years until sales started to slow, eventually slowing to a crawl by 2011 or so. Also, if you look at Sony and (to a lesser extent) MS, the success of the previous generation typically aids in the success of the follow up. PS1 sold astonishingly well, but the PS2 flew off store shelves. Why? The first year that the PS2 was on the market, it had no big games. In fact, I think that Final Fantasy X was the first huge game that it had, and it took nine to ten months to hit the market! If the PS2 wouldn't have been the amazing success that it was, would the PS3 had done as well as it did? Any other console that would have debuted at $600 would have bombed out of the gate. The Wii U, on the other hand, stiffed royally! Why? What happened to a percentage of the 101 million people who made the Wii a success? In my opinion, it isn't how well you do during a console's lifespan, but how you can carry that success into the future. No matter what happens, I'm sure that it'll be exciting! @BanjoPickles As I said, the Wii U lacked great first-party games in its early years. The situation is totally different for the Switch. @AlexSora89 I'm sure we'll get a general Direct sometime soon going over the upcoming releases for the rest of the year for both Switch and 3DS, probably using the rapid fire headlines format they used in April. Many of those - the majority in fact - are third party releases. Next week would be the best time to do said Direct in my opinion so they can cover the September releases, as there's quite a few of them. Thank you. Nintendo is on to something great with Switch, and all I hope for is that developers latch onto it. The indie community has really stepped up to the plate, which is awesome! I'm excited to see what the heavy hitters can accomplish. But that goes along with my comparison. Given the Wii's success, not having a heavy hitting first party title for the first several months shouldn't have really mattered. The PS2 sold like gangbusters with practically nothing for the first year, and it sustained that success for over six years, which is pretty darn impressive. I can expect a lot of good stuff coming our way. I believe in you, Nintendo. Rise from the ashes! I'm curious. Which 3rd party games would you want to play on Switch ? Is there really that many that appeal to you more than what we have on this console ? All games I need info like right now. This Nindie presentation came at a really great time. Love indies!! Edit: Would love some surprises like: A Hat in Time, Dead Cells, Hyper Light Drifter and Hello Neighbor. My only problem with Nintendo's eshop business is there is very little by way of exclusives. If Nintendo published some Nindies themselves then their content could easily rival that of XBOX ONE. I'm still surprised no one else has brought this up. I agree. Part of the problem that I do have with the Nindies is that many of them were released for the Ouya years ago. Looking forward to it. And to all the negative comments, indies are 3rd parties too. Hasn't anyone else realized that Nintendo will never get every game ps/Xbox/pc will get? But haven't you all figured out that ps/Xbox/pc isn't going to get every game that Nintendo gets. husr accept it. My nintendo______ has been my main console since nes. But I have still owned another console and/or pc through the majority of those years. I can not wait for the next 6 months of switch. Skyrim, Mario, payday maybe, steamworld dig 2 and quite a few more. Portal Knights for Switch, pretty please ! Also, Earthlock : Festival of Magic for Switch too. Hopefully they mention when Golf Story and Nine Parchments release. I wouldn't expect too many concrete release dates, although I'd be glad to eat crow on that point. I'll be honest everybody: I don't know what nindies I want for my Switch now. I have managed to download a fair chunk of them (Snipperclips, Blaster Master Zero, Kamiko, Mighty Gunvolt Burst, Sonic Mania, Puzzle Adventure Blockle, Flip Wars, Minecraft, Shantae HGH, etc.) and although I enjoyed a fair amount of them, the others were just things that didn't make me jump for joy. Heck, as much as I loved Shovel Knight on my 3DS and Wii U, I didn't even buy it for my Switch yet since there doesn't seem to be enough of a reason for me to triple-dip. As good of a game Yooka-Laylee was, it didn't really fill in that hole that the first two Banjo-Kazooie games did for me (though still better than being forced to drive in shoddily-built cars and explore super empty worlds). After beating it once on my PS4, I had no intention on playing it again since, which is why I probably won't double-dip on my Switch unless if it's $10 at the highest. The only indie game I'm pretty much excited for (or at least, a bit) is Picontier, but even then I still don't know if it's something I want. I mean, I'm still waiting for more info on The Legend of Dark Witch 3 on 3DS and since its announcement, there's barely been any info. Let's hope we see some more indie surprises! @PanurgeJr Triple A exclusives on Switch have been great...for 1st party. AAA 3rd party has been poopy. Indies have been a real highlight though. No need for me to be negative on this showcase - looking forward to it! I'd Love to see Fez, BroForce, Hyperlight Drifter, as well other MIA release dates for Owlboy and Pocket Rumble. @StephenYap3 How is Flip Wars? Everybody has been really down on it so I haven't made a purchase...but I thought it LOOKED like a lot of fun. @Exy 1/2 dozen maybe. Celeste, Flipping Death, Pocket Rumble, Syberia 3, Monopoly, shakedown Hawaii, steam world dig 2? Not sure if Dig 2 was from that initial group or was announced later on. All I'm hoping for is a release date for Yooka-Laylee and Stardew Valley, lookinrg forward to the event regardless though! @SLIGEACH_EIRE although I feel it will never be on the level of PS4 and Xbox support I think the 3rd party support is starting to creep in. RBI 17, PAY DAY 2, Skyrim, Rocket League, wwe 2K18, FIFA, NBA 2k 18, Lego Worlds, Lego Marvel 2, Rayman Legends, telltale Batman and others. They're watching closely and I think Switch will get a chunk of 3rd party support Wii U never had. Are we gonna get Red Dead, GTA, Call of duty, Battlefield etc?? Probably not. I would love release dates for Stardew Valley, Thimbleweed Park, and Rocket League and some surprise announcements like, say, Undertale or Darkest Dungeon. @antster1983 graceful, Mr Shifty and Tumbleseed are out unless I misunderstood you. @joey302 They are out, I had to make a correction to my post to add the code to put those games in bold type. Would be hilarious if it was the Five Nights at Freddy's "remakes" that Scott Cawthon teased a year ago. Just imagine all the people trying to play in handheld mode and damaging their Switches upon a jump scare. Tee-hee. @Pikachupwnage Nintendo revealed NA release date for Fire Emblem Warriors via twitter (October 20th). I am happy Nintendo have started accepting Paypal. Hope the next update accepts the shirt off my back! I hope they'll show some TINY METAL gameplay, that game looks like a nice spiritual successor to Advance Wars, even with proper current gen 3d graphics. Hoping for a Runner3 release date. Runner 3 that's about all I'm excited for as far as indy crap. I would love HOB to be announced for Switch, the game looks fantastic with a beautiful art style and Zelda-esque gameplay, it doesn't seem to be getting much coverage at all even with its PS4 release date looming, i'm sure announcing it for the Switch would bring it some much needed publicity. @joey302 I don't think Nintendo will ever get real development from big Western developers ever again. The game, to me, was very...meh. The gameplay was simply too basic to my tastes and the shortage of content limited my replay value for this game. The ground-pounding feature had no strategy as I felt like I was just mashing the button mindlessly to either color the most tiles or kill players, the latter which was implemented so poorly that even you are close to killing the player, he/she is always in the air, nulling your kills regardless. This problem also leads to Knockout and Life Battle modes, the additional modes aside from the usual Panel Battle, virtually unplayable unless if you're playing on either the Shock Panel or Cannon Beam stages, both which have a gimmick that guarantees kills for party element purposes. On top of this, you're only given four stages, each which three different elements, which doesn't inflate the replay value well and as a result, can truly limit the replay value. I mainly bought it just to inflate my Switch's library, but even for just $10, I regretted it. As soon as my baby bro and I played a few matches, we popped Super Bomberman R in, which I thought was a great game, especially with all the free updates and fixes the game has received compared to launch. Looking forward to this. There' still some things I want added to the E-Shop (Virtual Console, mainly) but it's off to a good start and the Switch has taken over as my go-to system for indies. I'm sure there will a bunch of games shown off that will be added to my must-buy list. Yeeeeeeeeah boooooooi! Gimme more of dat Stardew goodness! @joey302 @Nintendoforlife Rocket League is an indie game. Just a very successful one. @brandonbwii Why is exclusivity important on the Switch? Skyrim and FIFA 18 on the Switch are cool because they seem to be good portable versions that can also be played on the big screen. For people who move around, the hybrid feature of the Switch makes a huge difference. Rive and Pocket Rumble. Where are you? Stardew Valley is the Minecraft of indie's. Hope it comes sooner than later. Other than that lets hope less crappy mobile ports and more games that take advantage of Switch controls. Would be great if Switch could give justice (main problem is controls, no mouse, no party), to Real Time Strategy gems like Age of Empire or Red Alert. Most successful game in mobile is Clash of Clans (and clones) which is great due to the limitation of mobile controls but its a step back compared to games like the original Age of Empires (released 20 years ago in 1997!). Loads up article about a showcase of third-party support. Sees @SLIGEACH_EIRE complaining about lack of third-party support. @idrawrobots nope- probably not. Anyone who thinks that should think twice. The fact that certain games announced for Switch that would never see release on Wii U though is a step forward. @electrolite77 Are you sure you understand what he meant, or are you being deliberately facetious? Hard to tell when reading typed comments, so apologies if I got the wrong end of the stick. I meant it pretty literally. Whether it's the third-party games that any individual wants, indie games are by definition, third-party games. I'm looking forward the next Direct, whenever that may be. "You're wondering where the Western third-party AAA games are? They're on other consoles and the PC. It's been like that for decades." This. Not bought a machine to play those games on? You're obviously not that bothered are you? @dimi What does "the Minecraft of indies" mean? Minecraft was an indie until Microsoft bought Mojang. @electrolite77 Hmm. I understand and agree with your all-encompassing third party definition. Can't argue with that. I presume you understood that he meant releases by non-indie developers. I also get that seasoned Nintendo gamers understand that THIS kind of third party support isn't to be expected. Is it right for that to be the status quo? Should we need to buy two consoles or a PC capable of gaming to enjoy both Nintendo games and larger third party games? Is this strategy right for Nintendo? Rather than being condescending, there are plenty of touch points for discussion. I like all games and would rather be able to access them all on one console. "Should we need to buy two consoles or a PC capable of gaming to enjoy both Nintendo games and larger third party games?....I like all games and would rather be able to access them all on one console." Whether you should or not, that is the state of affairs. The particular poster I was pointing at constantly moans about Third-party support but refuses to buy a system that plays those games. Whereas a lot of people have accepted it. If you want to play everything you will need more than one machine. As for whether you should or not, I would say yes. The only way you'll get all games on one machine is if there's only one format and a monopoly would be bad for everyone except the company with the monopoly. "Is this strategy right for Nintendo? Rather than being condescending, there are plenty of touch points for discussion." At this point in time it probably is, IMHO (and I'd have given a different answer in, say, 2001). At the minute we've three platform holders (and the PC) who go about their business in slightly different ways. Different form factors, price points, first-party library, focus on third-parties. Not only is competition good for the consumer but so is differentiation. MS and Sony are deeply entrenched in the home Console market as the machines to buy for AAA Third-party games and taking them on directly at this stage would be madness. In terms of strategy they have to offer something different. It's just reality. As for being condescending, I'm always up for some genuine discussion. I just get bored with endless repetition of the same complaints from the same posters who seem to expect a power-focused Nintendo home Console with full Western AAA support as if the last 20 years never happened. A lot of the time there's no interest in discussion, it's just 'look at me' attention-seeking. @electrolite77 Great response. Will take some time to digest that. The monopoly point, in particular, I didn't really think about. @StephenYap3 I have my issues with Super Bomberman R but still feel lucky to have it and love it. I still can't believe Nintendo outright bought Flip Wars (like they did with Snipperclips)...what exactly did they see in that game?! Oh god not more rubbish! More Switch exclusive, less Steam/multi-platform game please. Their is nothing wrong, it's just boring. @jariw its how you said, i didn't put it right. Wanted to say its a phenomenon on its own right even if it can't compare to Minecraft sales wise yet .PS Vita Minecraft is in top 20 in japan for over a year now.